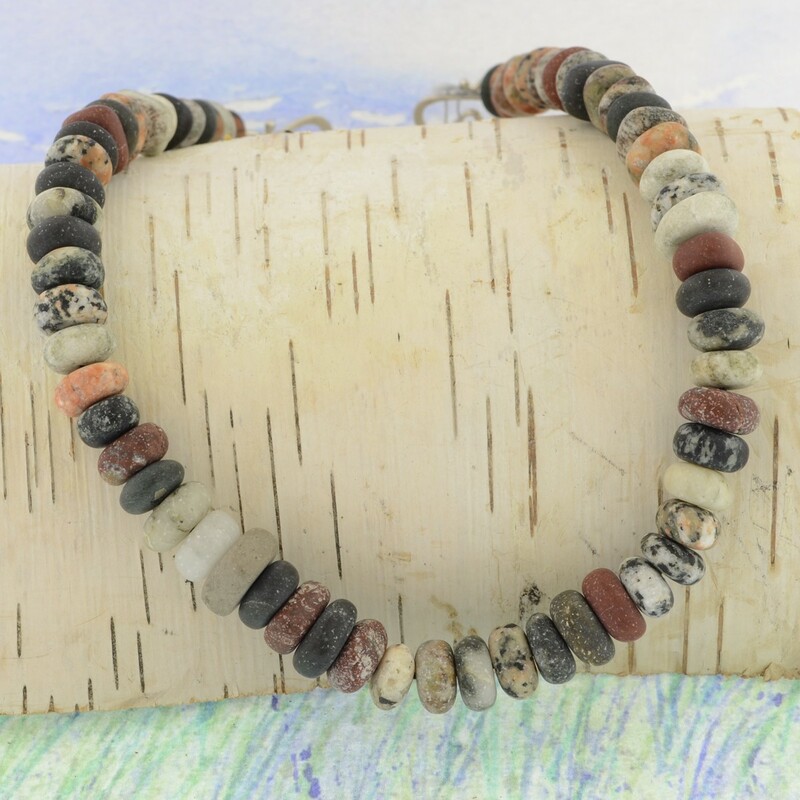 Lake Michigan beach stones with a sterling silver clasp. Small pillow shaped beads made from the stones found along the shore of Lake Michigan, perfect reminder of days spent at the beach. Necklace measures 18" in length and has a sterling silver clasp.